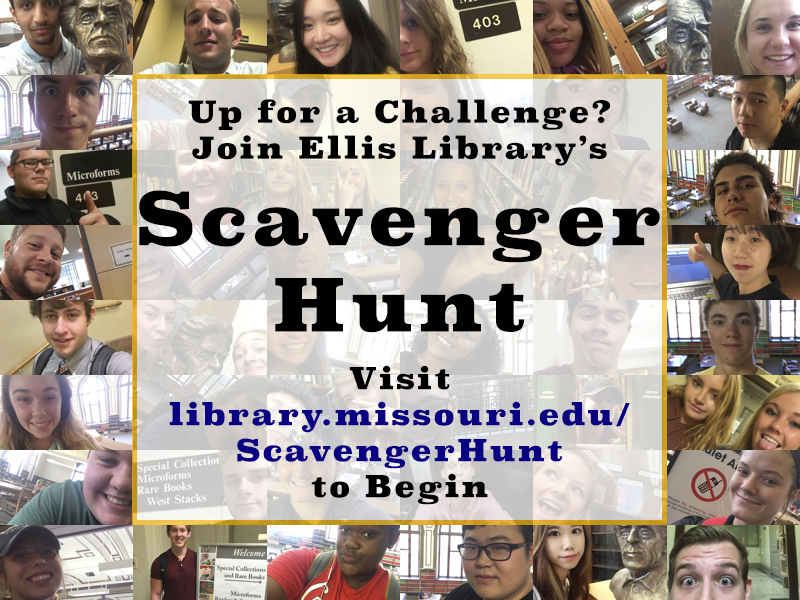 Summer classes are in session and that means it's time for you to take part in the Scavenger Hunt at Ellis Library. Almost 2000 students have already completed it. Now it's your turn! Get on your feet and go explore Ellis Library with this interactive challenge. On your way, you will become better acquainted with library spaces and services while decreasing your library anxiety, all at your own pace. Come with friends or come alone. It will be waiting for you! You can join the hunt using your smartphone or mobile device. Go to http://library.missouri.edu/ScavengerHunt to begin! Come join the Scavenger Hunt at the Ellis Library. Almost 2000 students have already completed it. It is your turn! You will quickly be aquainted with library spaces and services while decreasing your library anxiety, all at your own pace. Come with friends or come alone! It will be waiting for you! An early introduction to the library helps students understand that the library is there to support research needs both online and onsite, with resources beyond what existed in high school libraries. The MU Libraries can help you achieve your goal of ensuring a smooth transition from high school to college, by introducing resources, skills, and habits which foster academic success. The MU Libraries Scavenger Hunt is designed to introduce you to Ellis Library’s spaces and services – and to make the building a little less intimidating. It takes about 30 minutes to complete, so will easily fit into any break in your schedule. 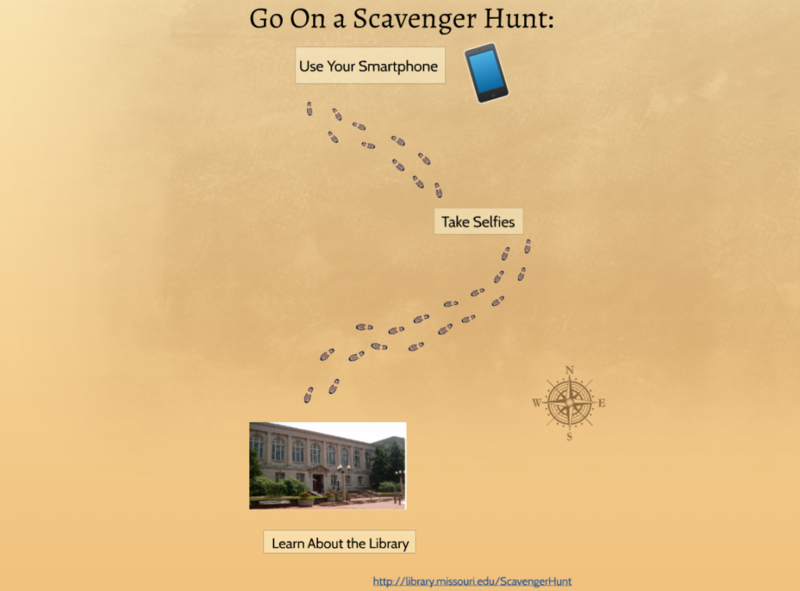 Students can take the Scavenger Hunt on their smart phone (http://library.missouri.edu/ScavengerHunt), or stop by the reference desk to pick up a paper copy.